The generally accepted historical viewpoint that the abolitionists were &#8220;meddlesome fanatics&#8221; is challenged here by a group of contemporary historians. 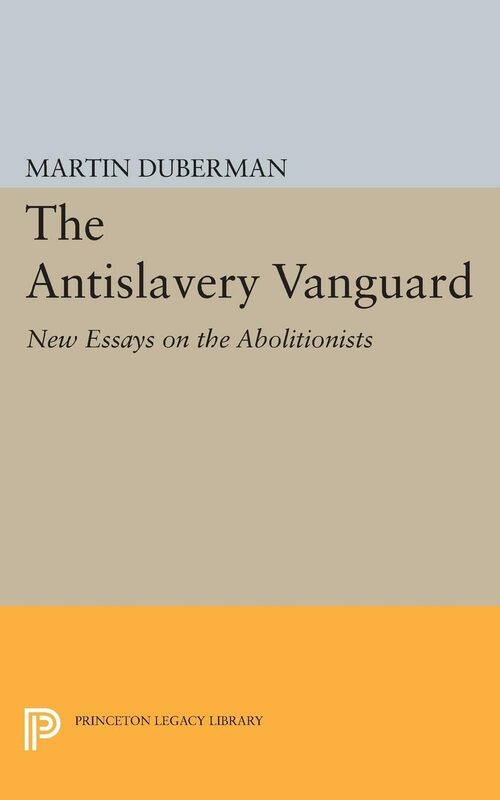 In this re-examination of thee abolitionists, the harsh, one-sided judgment that they were men blind to their own motives, to the needs of the country, and even to the welfare of the slaves, and that their self-righteous fury did much to bring on a &#8220;needless war&#8221; is not completely reversed, but a more sympathetic evaluation of their role does emerge. The motives tactics and effects of the abolitionist movement are reviewed, and its place in the broader context of the antislavery movement is reconsidered.Originally published in 1965.The Princeton Legacy Library uses the latest print-on-demand technology to again make available previously out-of-print books from the distinguished backlist of Princeton University Press. These paperback editions preserve the original texts of these important books while presenting them in durable paperback editions. The goal of the Princeton Legacy Library is to vastly increase access to the rich scholarly heritage found in the thousands of books published by Princeton University Press since its founding in 1905.